Before examining the final chapter in Roman Britain, it is important set the scene of the Roman Empire as a whole. By the time Theodosius died in 395 the Roman Empire was well and truly divided into two halves. Theodosius' two sons, Arcadius and Honorius inherited the realm. Honorius was on the throne from 395 to 423 and had inherited a stable structure both within the empire and on it's borders. But, as we shall see, his time in office was not an easy one and turned the empire into a divided and broken mess that would never recover. Although there had been indications before that the empire would not be everlasting, it was now that the final death knolls were to be sounded. For Britain, this resulted in a complete collapse of society and the end of Roman rule. At this time, Britain was in a stable and prosperous condition. It was under the rule of the Gallic empire, but still maintained contact with Rome, which still had ultimate control. The lifestyle of the people of Britain had become a mixture of different cultures. There was the basic Celtic influence, which had been diluted with Roman and Gallic influences, and, to a lesser extent, others from the other provinces of the Roman Empire. Arcadius and Honorius were emperors in name only. They were just figureheads for the empire. The true power lay with their chief ministers. This was more pronounced in the western division of the empire than the east. The overall minister in charge of the west was Flavius Stilicho. Originally a member of the tribe of the Vandals, he had risen to power, largely by marrying Theodosius' adopted daughter, Serena, reputed to be a menacing character in her own right. This coupled with the claim that Theodosius had made a deathbed statement that Stilicho was to supervise his two sons. To strengthen the bond between himself and Honorius, he persuaded his daughter, Maria, to marry the new emperor. The western division of the empire had depleted funds due to the separation of the original empire into two halves. The western part had an army that was made up of both Romans and a large number of conscripts from the provinces. The reason for this may be due largely to the fact that having the empire split in two, with the major contingent of the army in the west, meant a heavy military presence coupled with a vastly reduced income. By the start of the fifth century, it was clear that changes had to me made if the heart of the empire was to exist. It was in 402 that troops began to be withdrawn from Britain. This fact is supported by the reduction of Roman coins in Britain from 402 onwards. Britain had to import coins at this stage as the last mint had been closed down under the rule of Maximus. Despite the size of his armies, Honorius withdrew garrisons from Britain to fight invasions at the borders of the European provinces. Britain was in a difficult predicament at this time. The barbarians had made significant advances into Gaul, thereby cutting Britain off from the main body of the empire. The only route to Britain now was by sea from Spain, but It was impractical as the sea was patrolled by barbarian ships and the coast of Britain had pirates from Ireland patrolling the coastal area as well. But Britain was not going to give in so easily. The current ruler Constantine III dispatched troops into Gaul to fend off the invading Germans. The battles were ferocious and lengthy, with the end result of Constantine controlling a large part of Gaul by the end of 407. From there his son, Constans move south and took Spain in a very short time. By 409, Constantine had regained a large part of the western European empire. With the amount of land under the control of Constantine, Honorius had no option than to accept him as a joint leader. Britain as once again under Roman control, via the Gallic prefecture. This did not last, with the land taken by Constantine in a case of civil war by 409. During this time, the Germans took their chance and moved into Gaul, ransacking and plundering the province as they went. 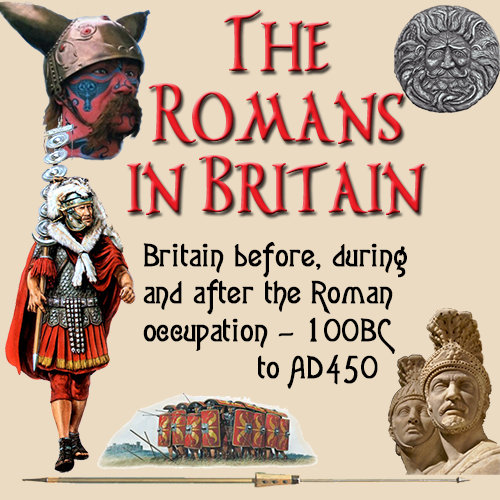 The act of physically coming between Britain and Rome allowed the barbarians to once again land on British shores. They had been raiding since 408, but now this invasion was on a grand scale. By 410 Constantine had lost Britain. The Romans could not spare the time or the manpower to retake Britain. They were too busy fighting off offensives in Europe.